We Got It, In Wiarton! Shop The Neighbourhood!  Visit Wiarton and see what your local shops have to offer. Save the drive and get your holiday shopping done close to home. Participating businesses are offering special promotions during the Shop The Neighbourhood campaign. "When you buy from a small business an ACTUAL person does a happy dance."